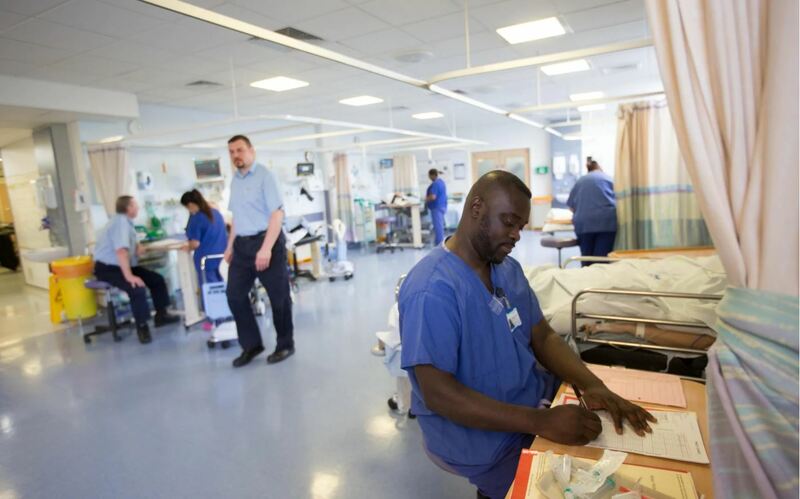 Patients are discharging themselves early from hospital because wards are too noisy at night, new research has found. According to the study led by King’s College London, noise pollution in hospitals is regularly exceeding international recommendations. The report found one in ten patients are bothered by noises at night with growing numbers requesting to be discharged early. Equipment and technology are partly to blame with alarms, televisions, rattling trolleys and conversations cited among common annoyances. In the editorial published in the BMJ medical journal, researchers warned it can impact patients’ ability to rest, heal and recover, as noise has been linked to hospital-induced stress, increased pain sensitivity, high blood pressure and poor mental health. Patients who were in hospital for several nights reported feeling trapped and stressed, leading to requests for premature discharge and heightened risk of trauma and readmission. Dr Xyrichis added: “We know hospital noise has disruptive consequences for sleep – machine sounds in particular have a greater negative effect on arousal than human voices. Dr Xyrichis said more needed to be done to tackle the problem as it was only going to worsen as “society gets louder”. Measures have been introduced to tackle the problem include ear plugs, noise warning systems, acoustic treatment panels, educational initiatives and noise reduction protocols. Dr Xyrichis added: “Guides about potential ward sounds could also enhance patients’ understanding of their surroundings and increase relaxation.